Attractive stainless steel milk frother. 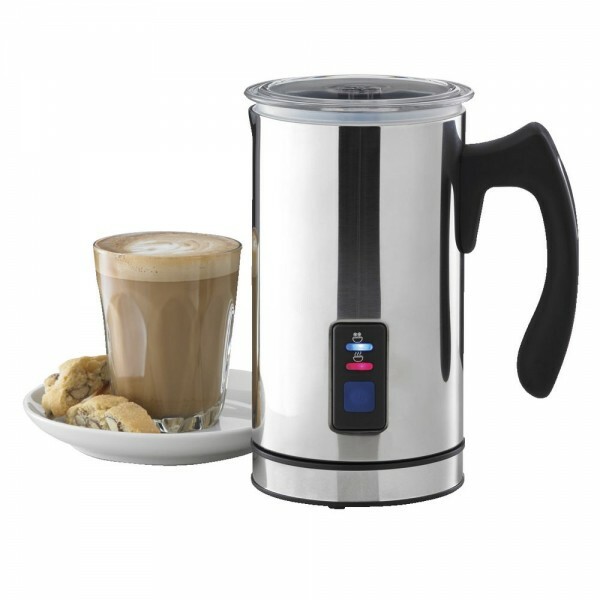 This Milk Frother Creates Perfectly Heated Or Frothed Milk With A Touch Of A Button! Stainless Steel Double Wall Design. Milk Can Be Frothed Without Heating - Simply Press The Button For 2 Seconds. 115mL Capacity For Frothing Milk. 240mL Capcity For Heating Milk. Cordless Operation With Power Base.